The Maruti Suzuki Baleno is one of the top 10 selling cars in India. The new variant of this car is the Baleno RS 1.0 which has dynamic design, features and technology, and comes with a brand new Booster-Jet engine which is one of the notable features in the car. The company has specified that RS 1.0 is for those who want a bit of performance. This new Baleno has a upper hand over its rival in the automobile market in a lot of aspects. 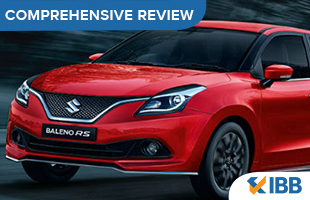 The Baleno RS 1.0 is a sportier and more powerful alternate to the original Baleno hatchback. When it comes to the design and exterior it is definitely a better alternative to the original Baleno alternative.  The youthful and sporty look of the car is a treat to the beholder. To emphasize on the sporty and adventure centric character of the car the car is adorned with a new mesh grille, blacked-out headlamps and a more edgy-looking bumper. The sides profile is composed of black alloys which lends it a sporty look, mew decals and blackened A and B pillars. Changes made to the rear are in tandem with its sporty character with new LED tail-lamps and chrome elements adding to the visual appeal. The design looks quite classy with elegant tail lamps. The Baleno RS rides on 16-inch wheels that comes with 195/55 R16 tyres. The car also gets a 15-inch 185/65 R15 spare wheel. Speaking of the dimensions, the new Baleno RS is 3,995mm in length, 1,745mm in width and 1,510mm in height, and has a wheelbase of 2,520mm. The overall dimensions are similar to the regular Baleno with the exception that the height of the car has been increased by 10mm. The car has a ground clearance of 170mm, while the boot space stands at 339-litres. The car has been designed to accommodate new features like the V-shaped grille, pulled back headlamps, sporty bumper, wider air-intakes and larger fog lamps. The changes made to the exterior styling are in line with Suzuki’s new liquid flow design philosophy. The interior features is pretty much the same as that found in the earlier Baleno models. The cabin comes loaded with equipment and gizmos. The overall quality, fit and finish feel good, and there is good attention to detail inside the cabin. The overall comfort of the passengers has been kept in mind with well-shaped bucket seats, excellent cushioning and ample amount of legroom and headroom. Long rides have never been this comfortable and not only that the cabin inside is also kept clutter free with decent storage space. The boot is decently sized at 339 litre and the rear seats can be flipped forward in a 60:40 split format, which aids in practicality. If you take a look at the other features of the car you will comes across excellent installations like the 7.0-inch touch screen infotainment system that gets all sorts of connectivity options including AUX, USB, iPod, Apple CarPlay, Bluetooth and GPS Navigation and the audio system which comes with four speakers and offers excellent sound quality. Some of the key features include keyless entry, follow-me home headlamps, auto rain sensing vipers, rear defogger, footwell lighting, illuminated glovebox, aluminium finished pedals, automatic climate control, engine start stop button, front centre armrest, tilt and telescopic steering, rear parking camera, parking sensor (rear), leather-wrapped steering wheel and gear knob, and body-coloured electrically-adjustable ORVMs with turn indicators, to name a few. The TFT instrument cluster has been carried over from the standard Baleno and it omits various parameters like distance to empty, instantaneous fuel consumption, average fuel consumption, average speed, gear indicator, shift indicator, etc. The multifunctional steering wheel feels good to hold, and has numerous buttons to control the audio system and phone. Fire Red, Premium Urban Blue, Pearl Arctic White, Granite Grey, Premium Silver, Ray Blue and Autumn Orange are the 7 colours in which the RS model is available all across the country. This car is powered only by a petrol engine. The Baleno RS 1.0 engine produces better power and torque as compared to the 1.2-litre petrol engine. It is powered by an all-new1.0-litre, 3-cylinder direct injection turbocharged petrol engine, which is capable of producing about 101 bhp of power at 5500 rpm and 150 Nm of torque at as low as 1700-4500. This engine is mated with a 5-speed manual transmission gearbox that distributes the torque output to the front wheels. The power delivery is very crisp and linear. The engine feels quite refined and the NVH levels are well within control. The steering wheel is light, easy to operate at low speeds and weighs up nicely as the speed increases. The suspension set-up is nice and most of the potholes, broken patches of road, etc., are tackled easily. The acceleration of this car is said to be 14% better than the standard variants. The car claims to offer a mileage of 21.1 km/l which ensures a good fuel economy. Safety has been a prime focus of all carmakers including India’s top car brand Maruti. The Maruti Suzuki Baleno RS 1.0 gets disc brakes along with ABS and EBD on all the wheels and hence the vehicle never runs out of stopping power. Features like engine immobilizer, keyless central locking, speed-sensing doors, child safety door and seat belt warning is standard across all variants of the car manufacturer. When it comes to additional safety features the Baleno RS comes with tyre pressure monitoring system, anti-theft alarm, radar-based brake support, side airbags and disc brakes at front rear axles. The 114mm ground clearance ensures an easy and smooth ride even on difficult terrains.